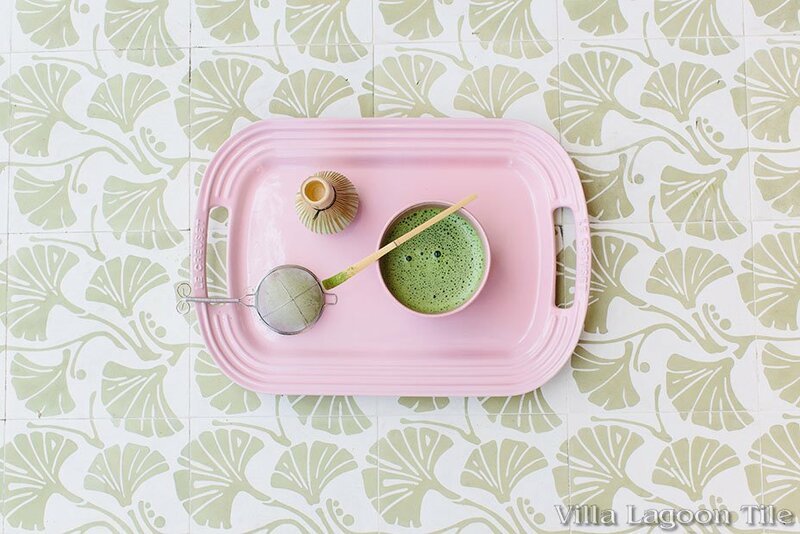 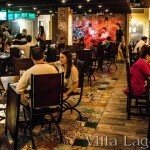 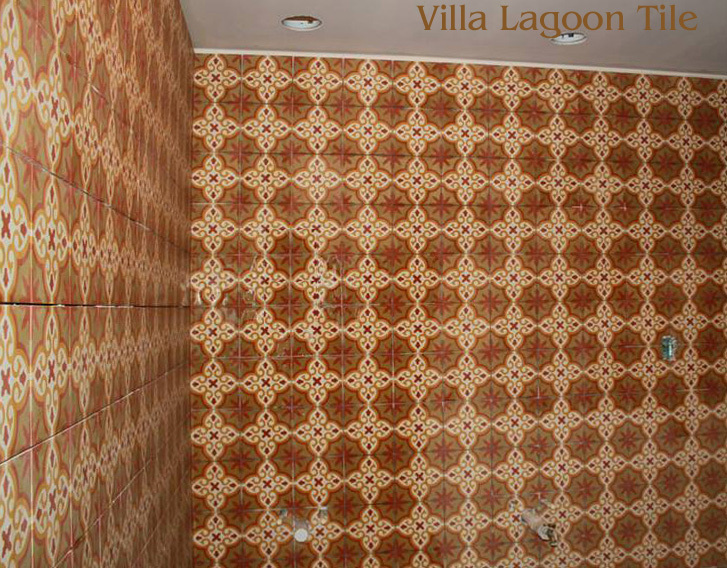 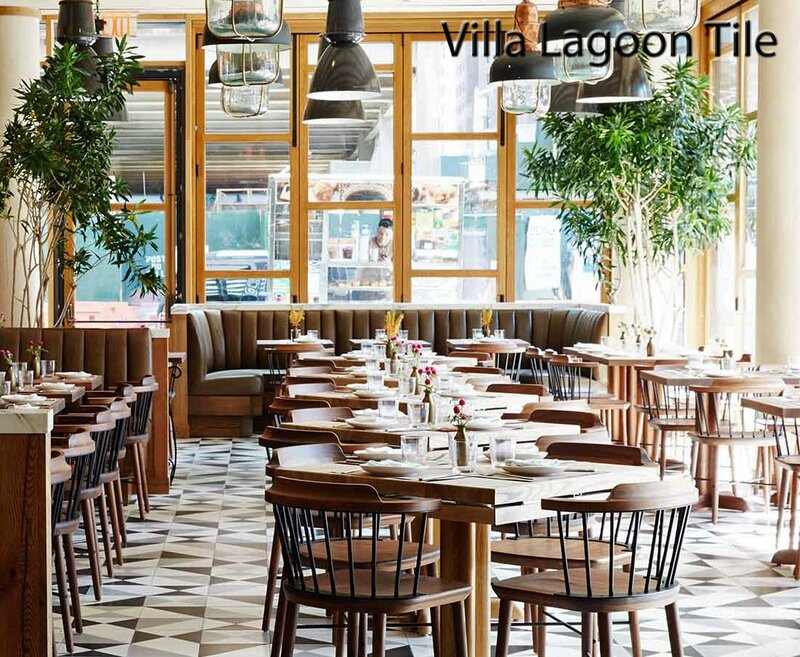 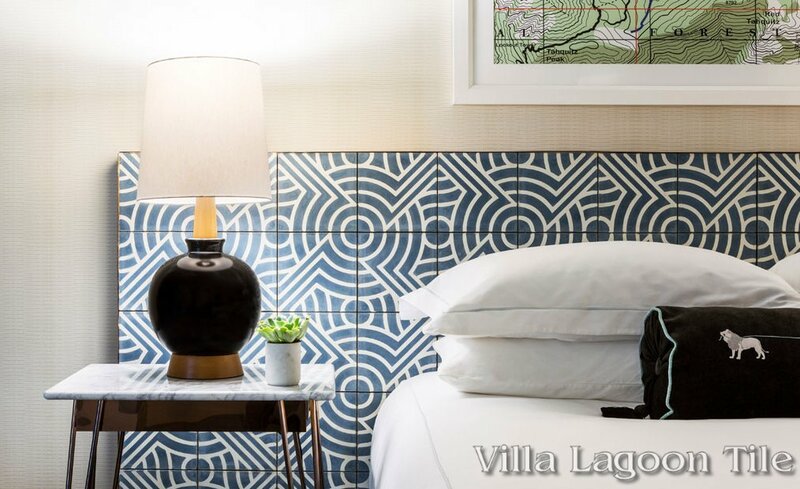 Villa Lagoon Tile and cement tile in print, film, television, and elsewhere. 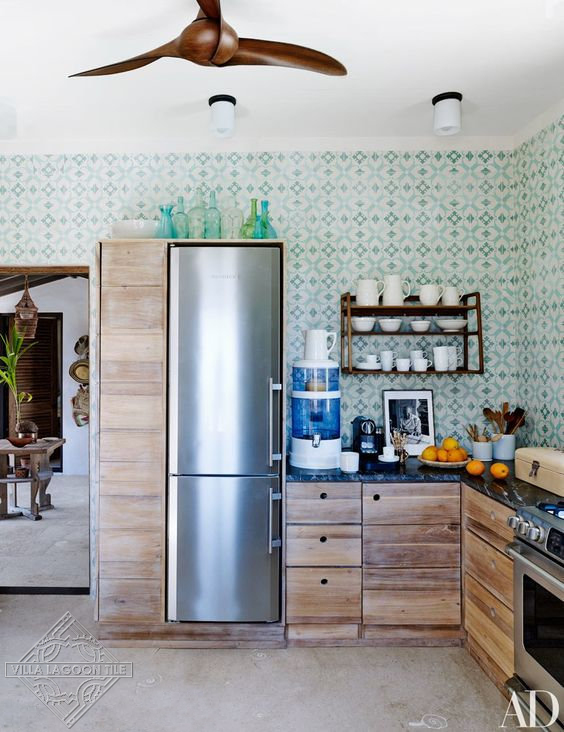 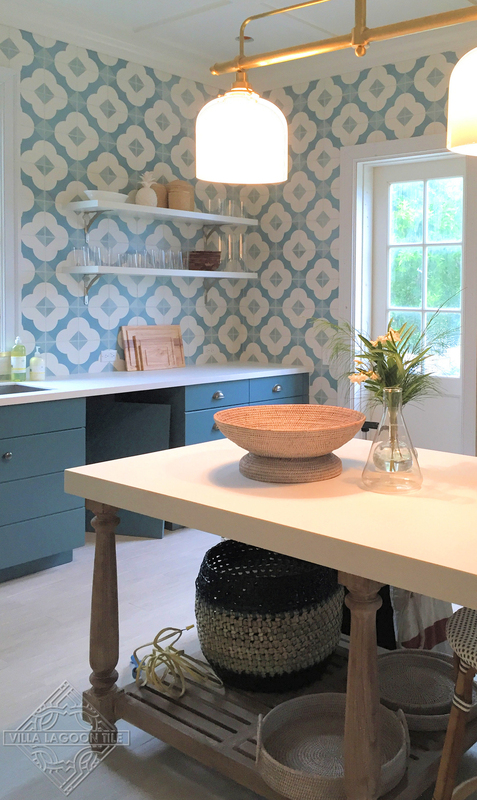 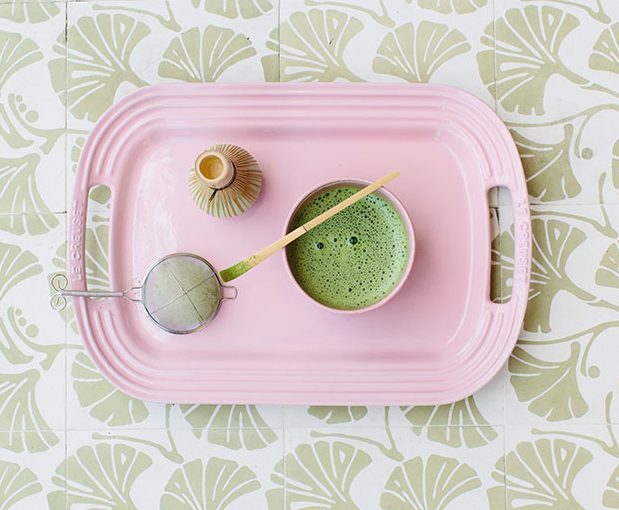 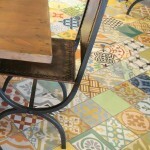 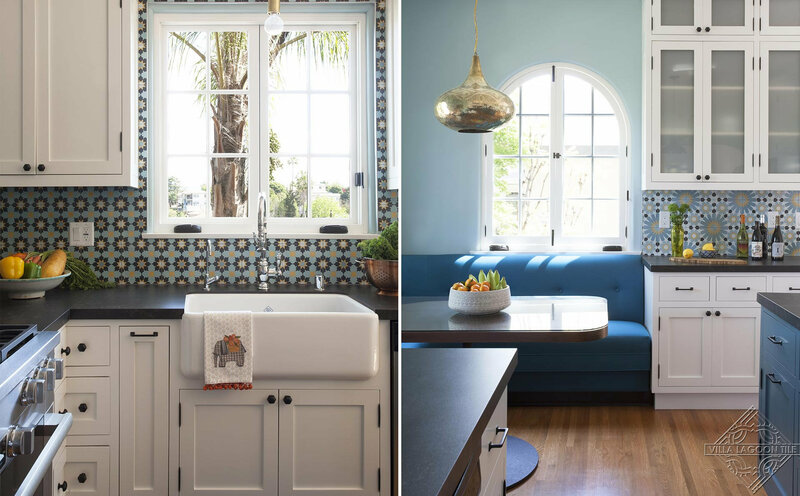 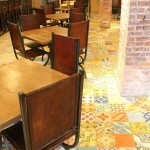 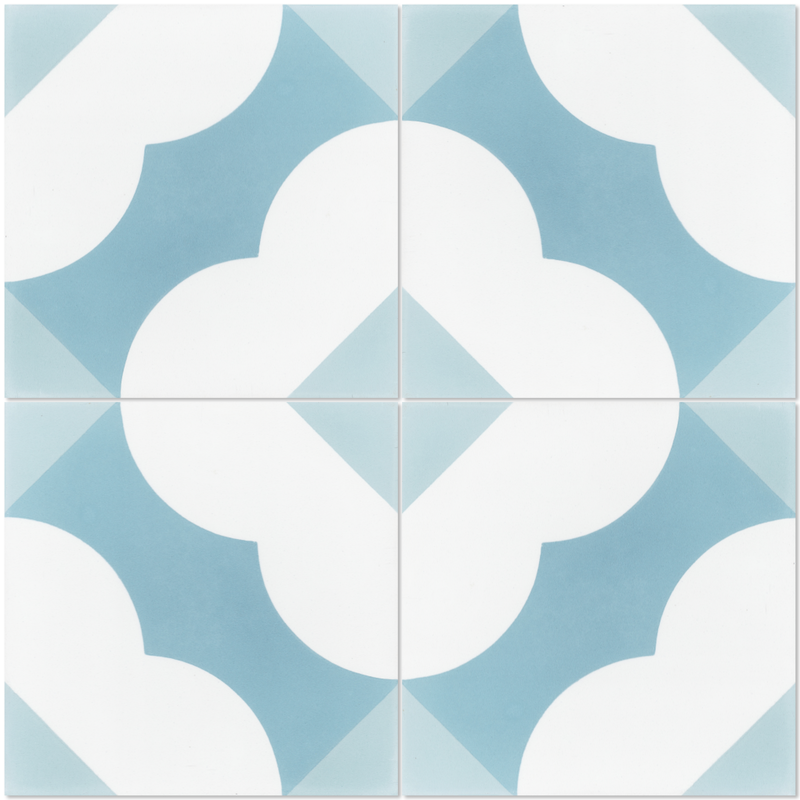 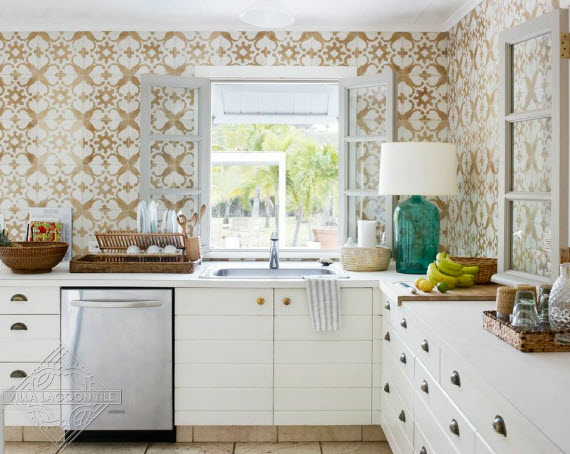 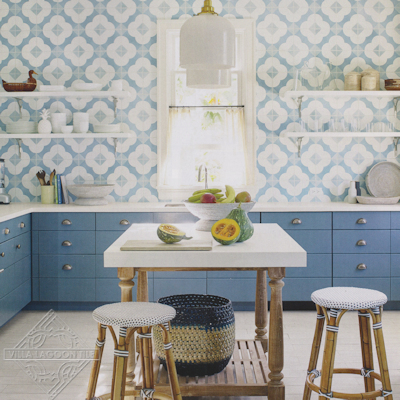 Can Cement Tile Give You Wings? 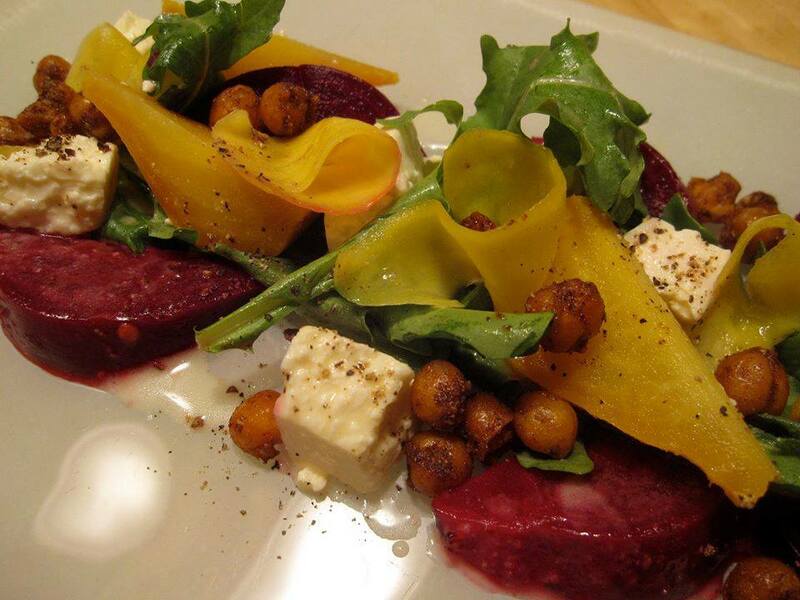 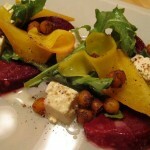 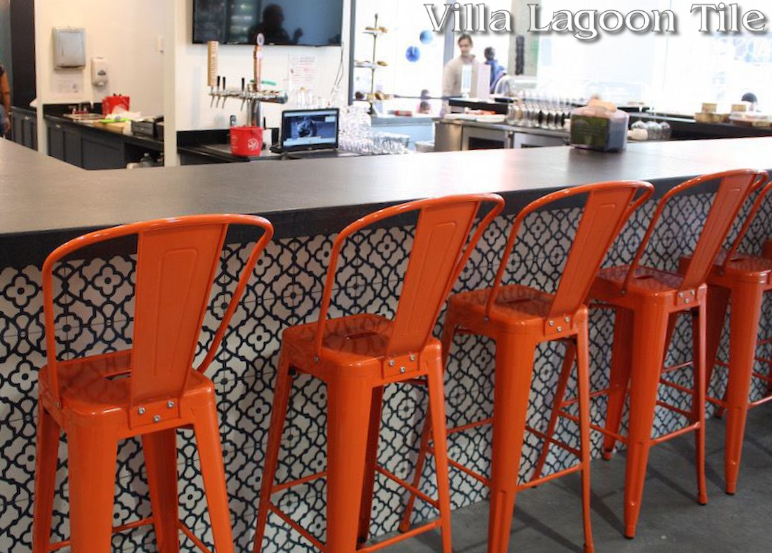 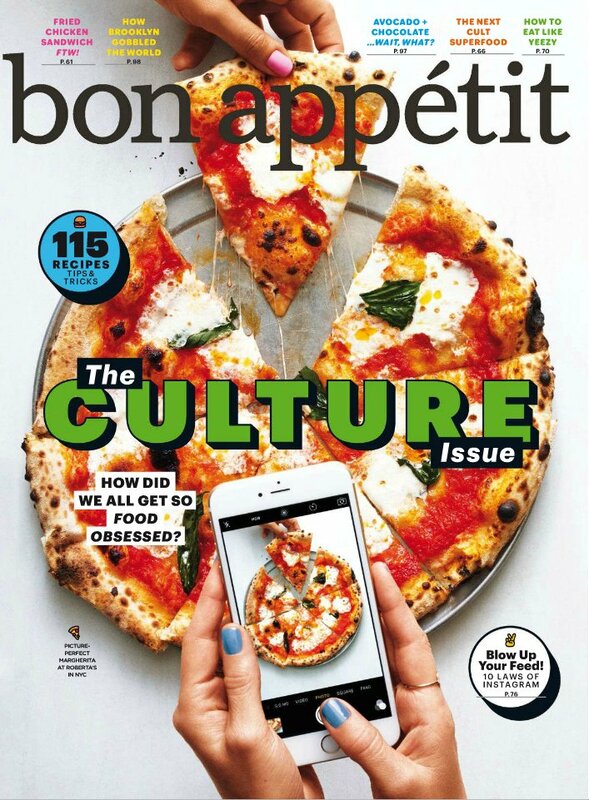 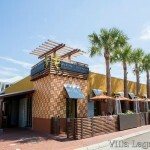 There’s a new restaurant in the Jacksonville, Florida area receiving a lot of attention. 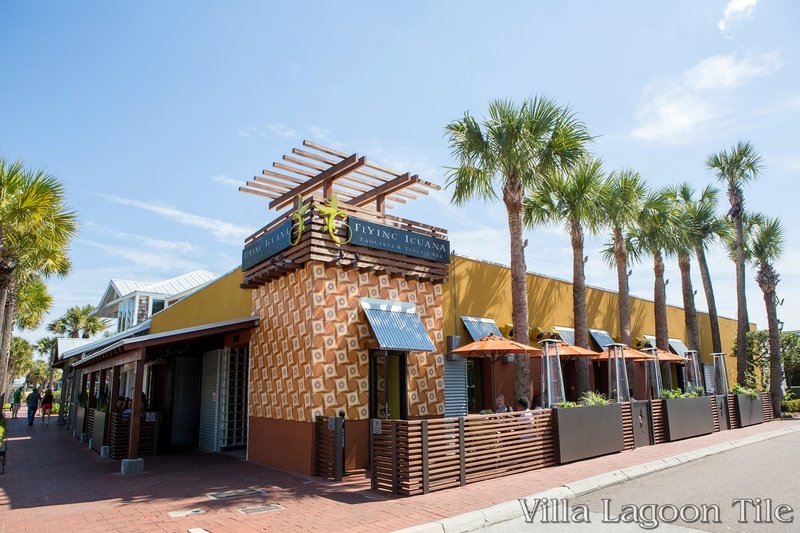 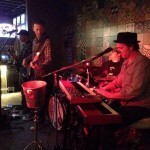 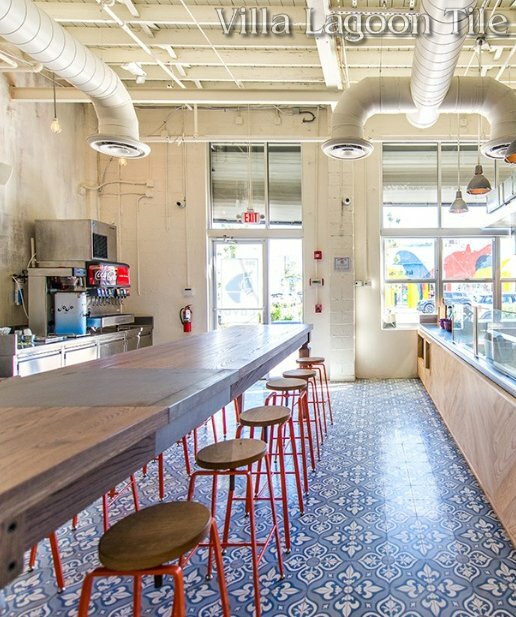 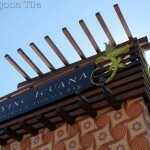 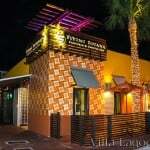 Flying Iguana Taqueria & Tequila Bar of Neptune Beach has opened to rave reviews. 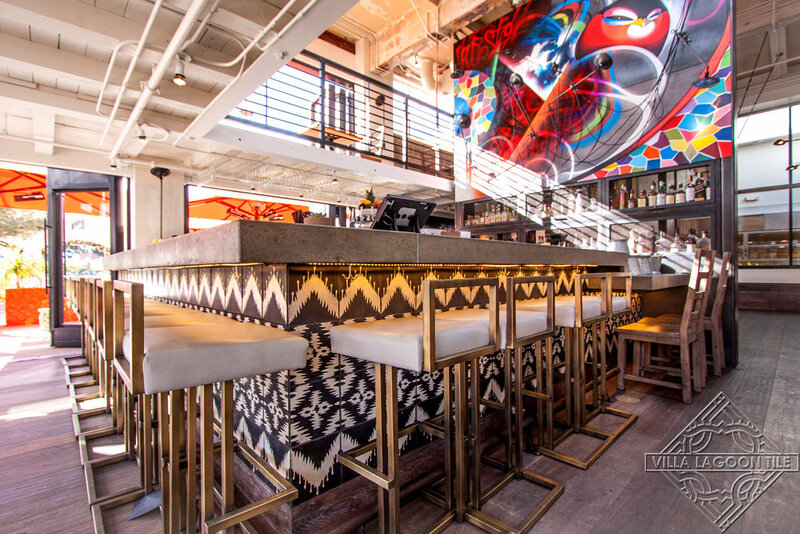 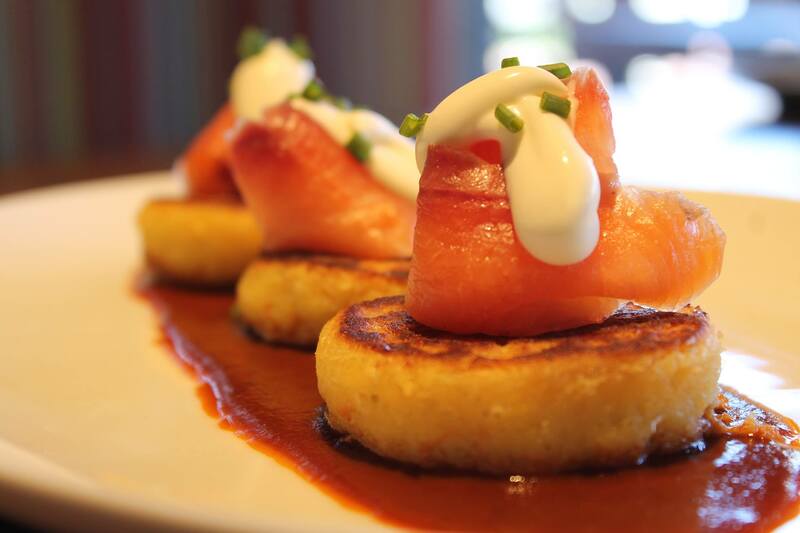 Chef Joshua Agan and his staff serve a fun and inspired menu that is Latin American fusion with hints of the local Southeast. 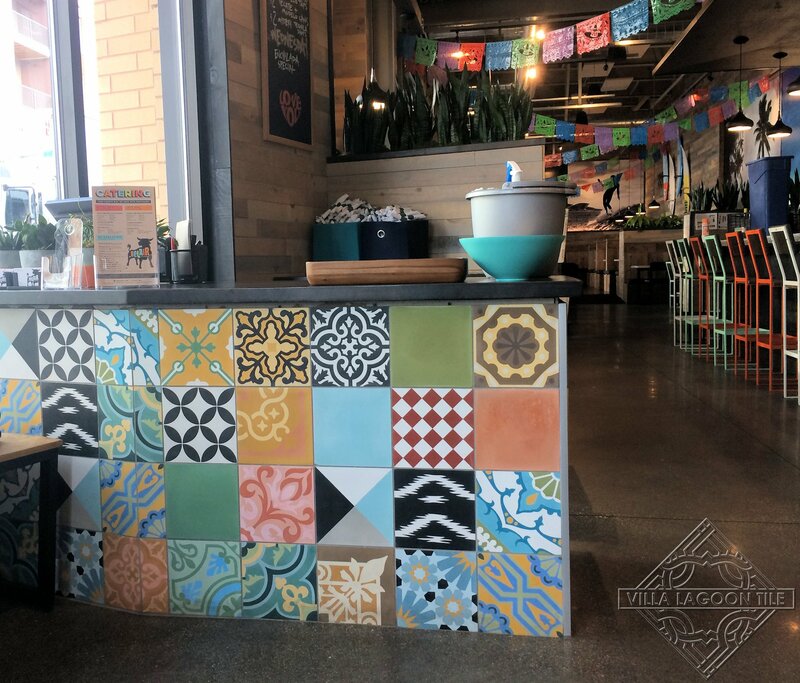 Along with traditional Latin American flavors, you can also find items like the “Dirty South” taco, with fried green tomatoes and pimento cheese, or the “Southern Comfort” taco with fried chicken, slaw, and pickled okra. 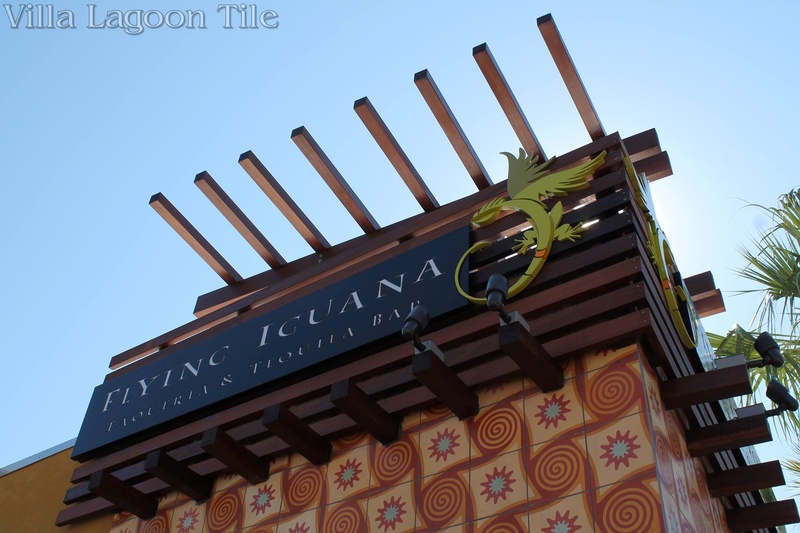 The designers of the Flying Iguana developed a stunning, eye-catching facade using our exclusive Tradewinds pattern, from the Caribbean Collection. 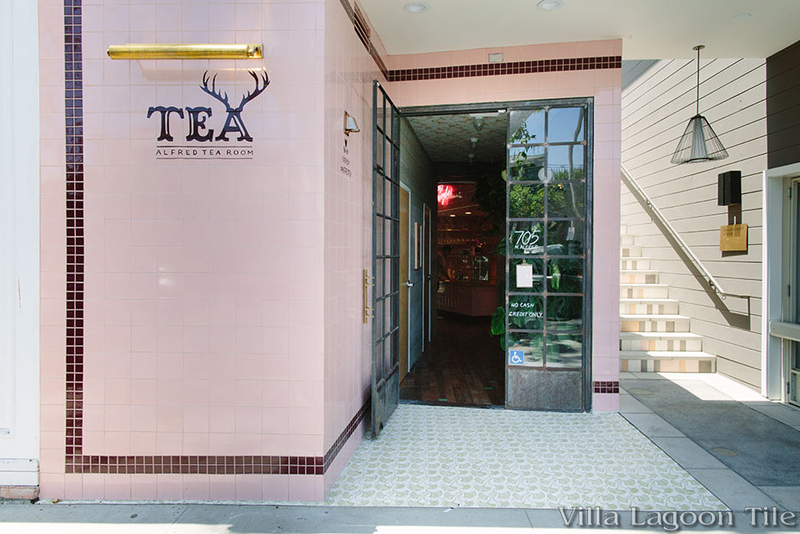 Together with the interesting wood trellis holding the signage, this is a restaurant that cannot be missed. 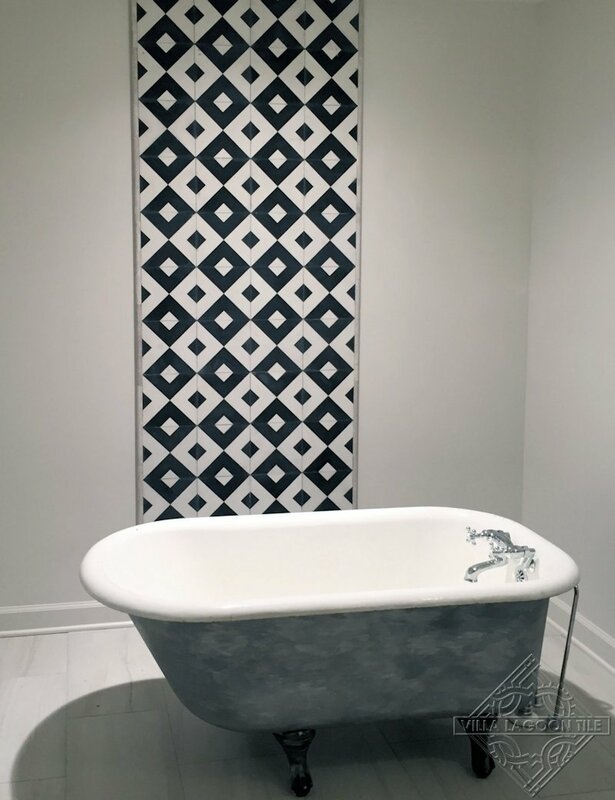 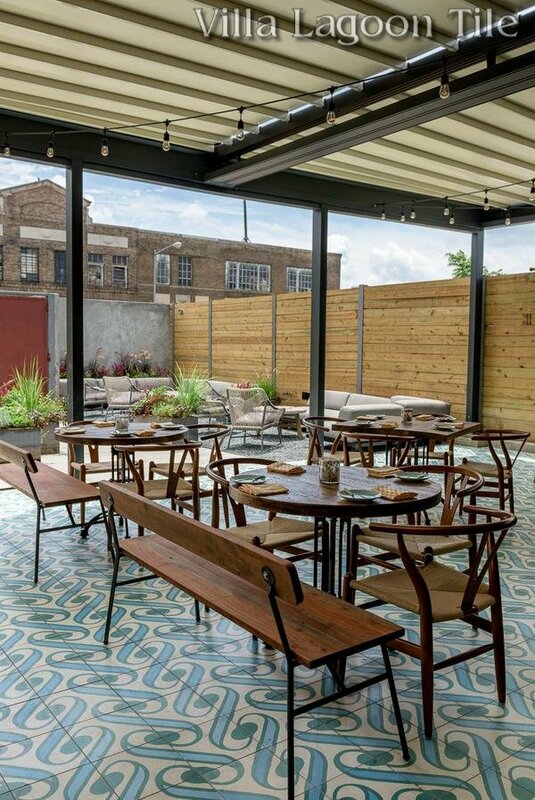 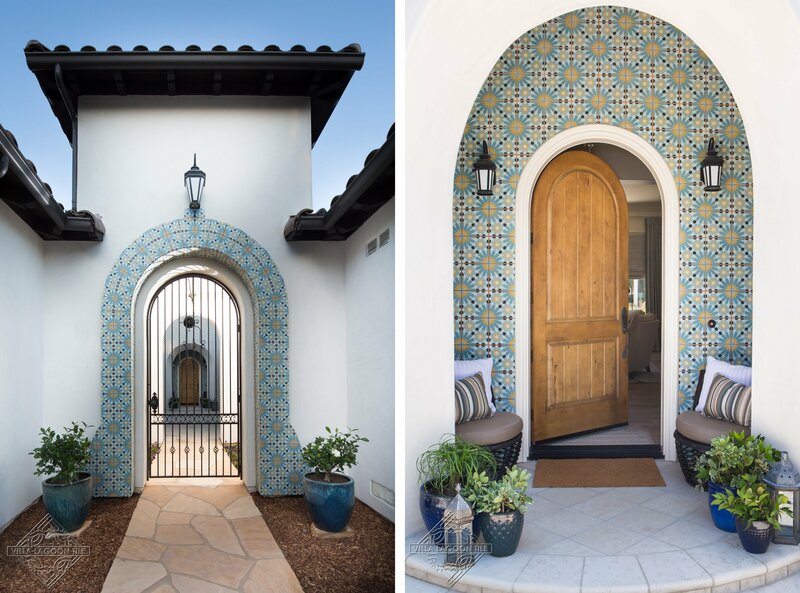 Decorative cement tile for external walls have long been popular south of the border, but we’ve seen more and more installations in the United States recently. 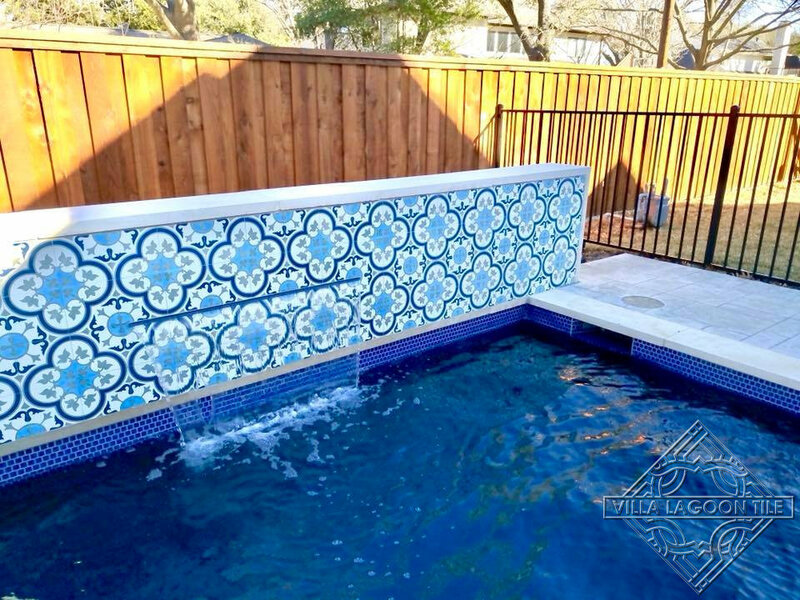 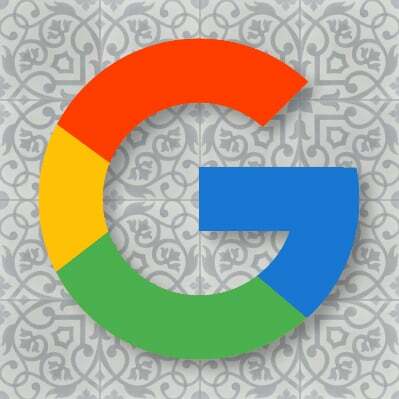 This may be in large part due to the advances in sealant technology, which can preserve the vibrant patterns from the elements. 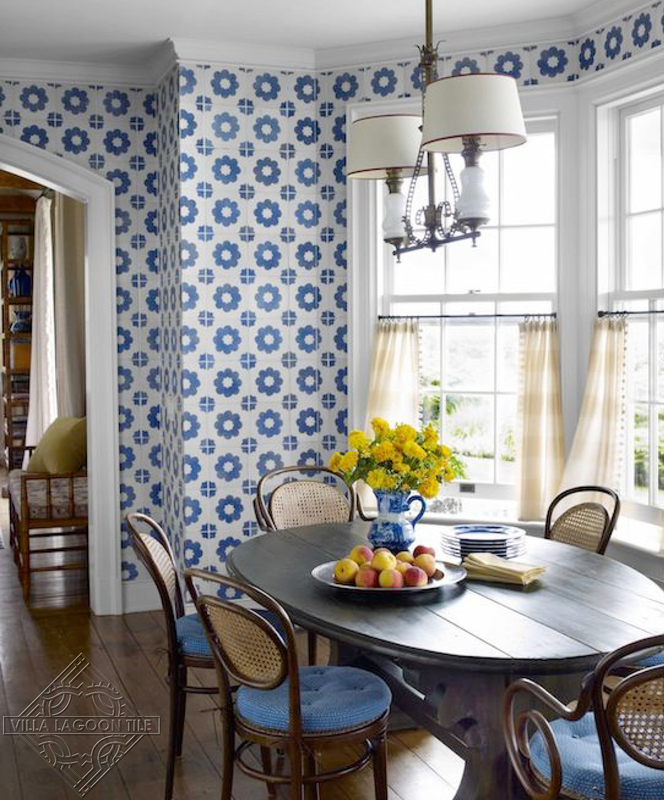 In the dining room, the designers chose to use a large area of patchwork cement tile on the floor, and as a backdrop for the bandstand. 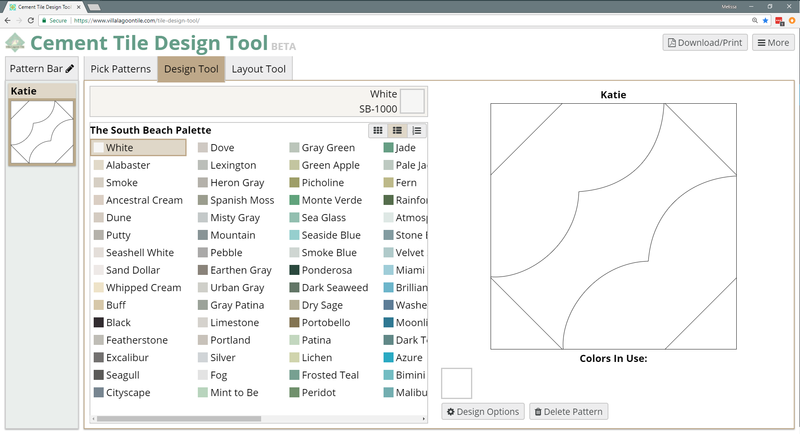 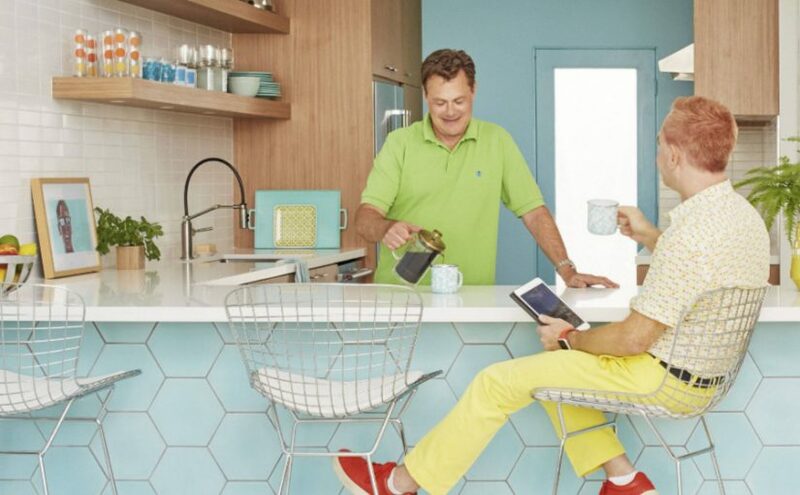 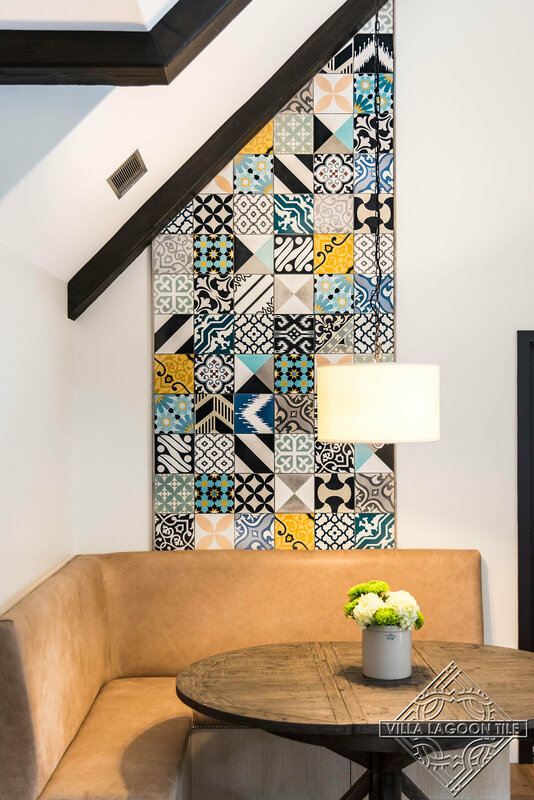 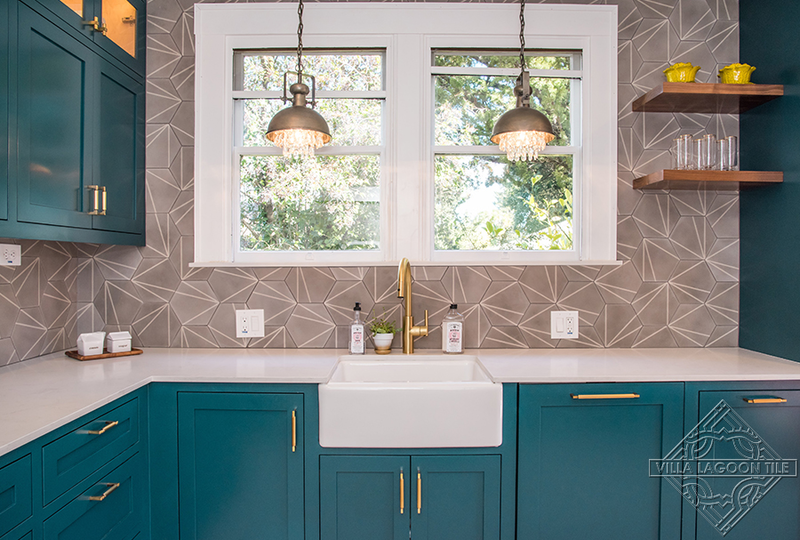 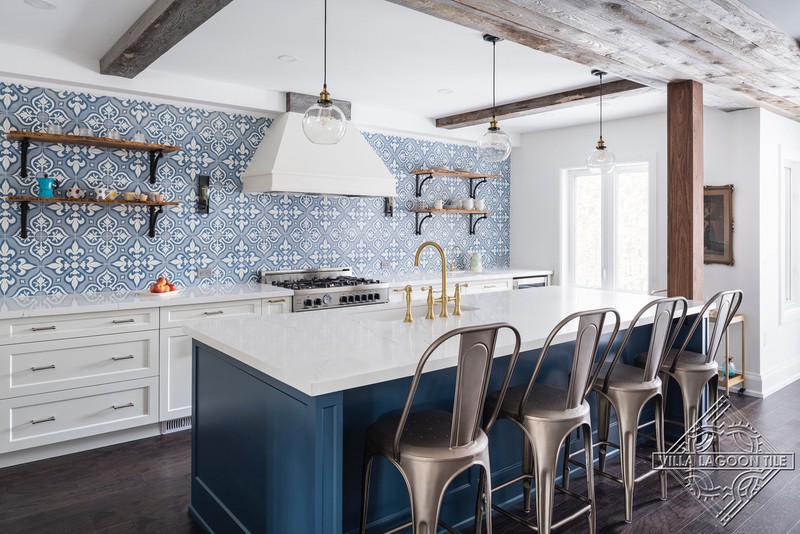 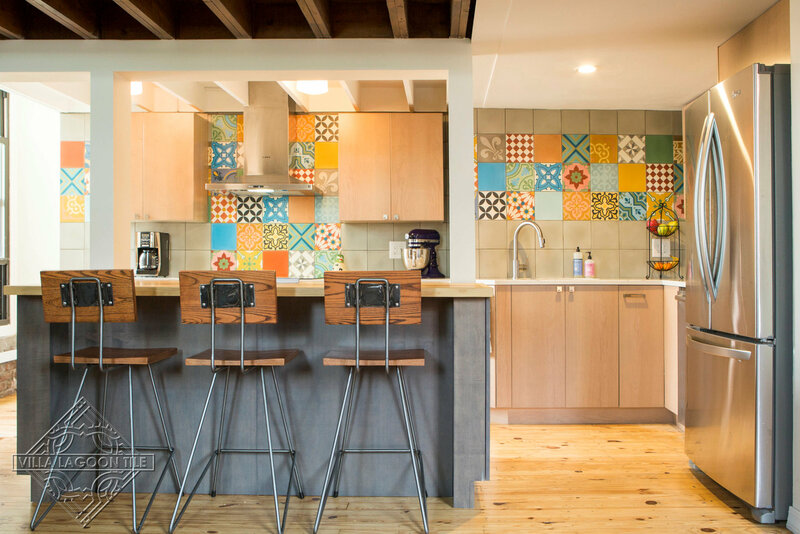 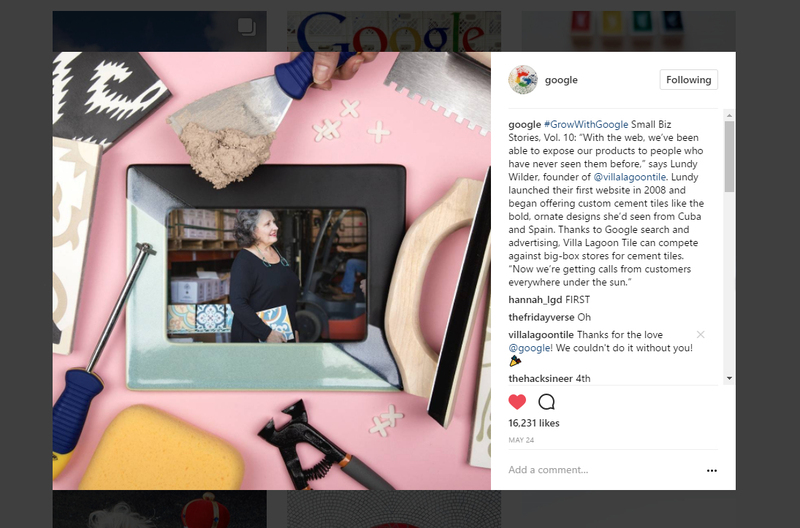 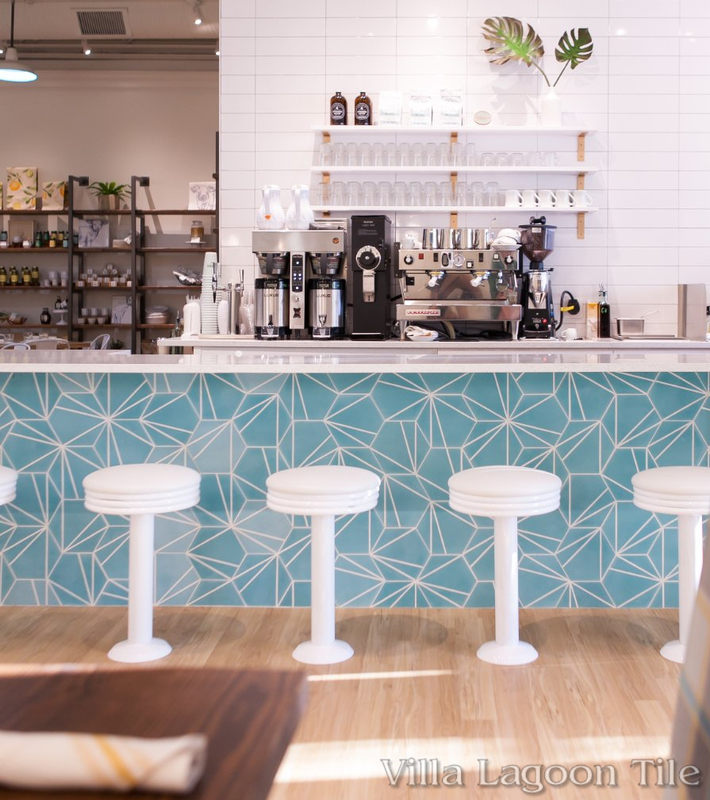 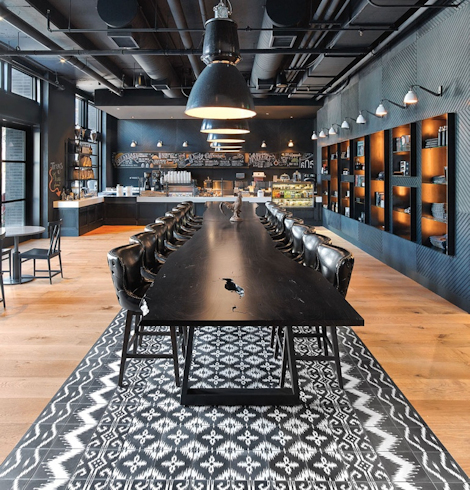 They used a combination of our pre-selected patchwork tile at the time, and supplemented with other in-stock patterns to custom-tailor the blend of colors they were seeking. 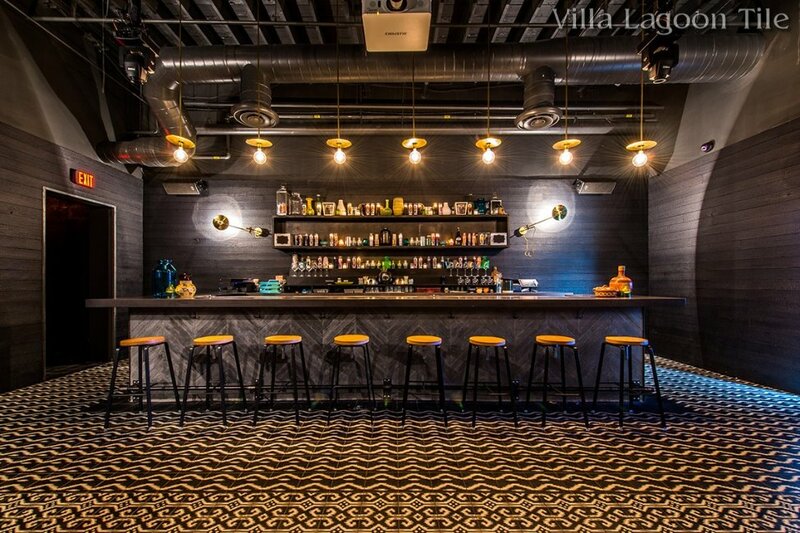 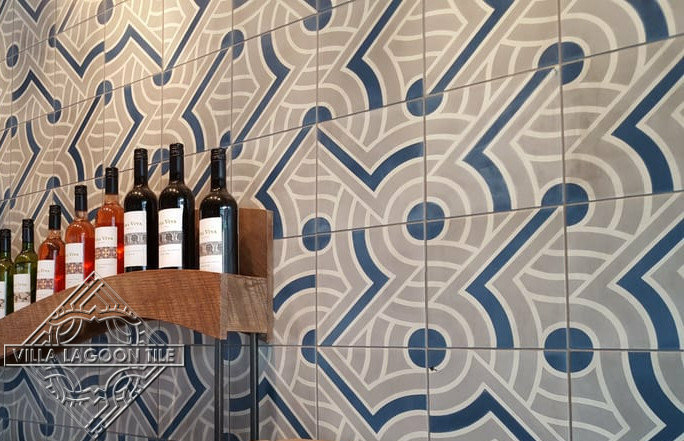 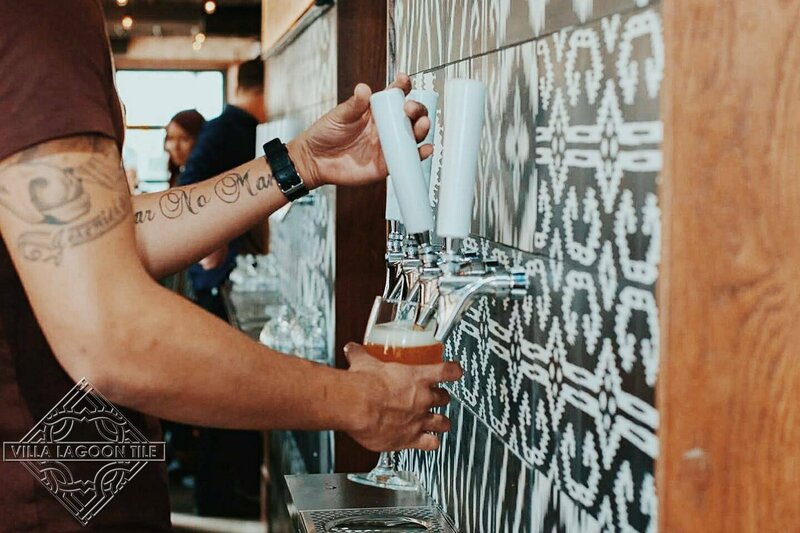 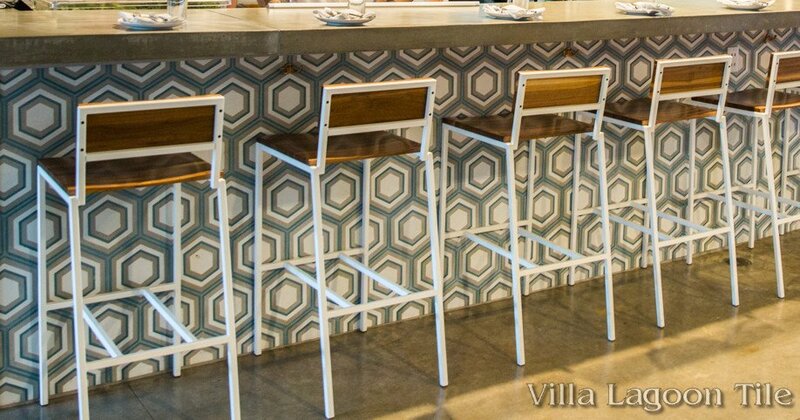 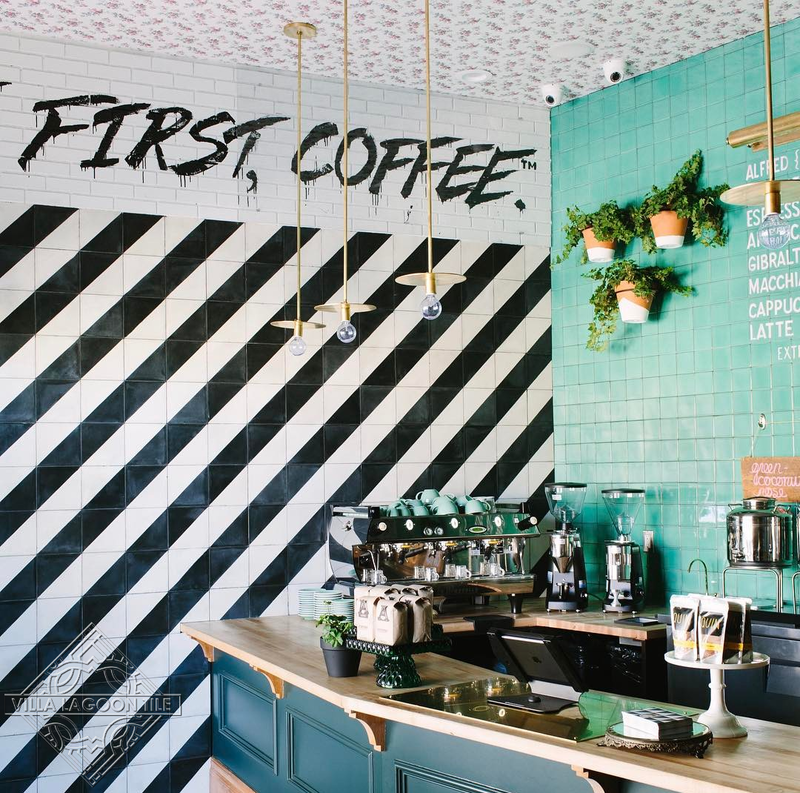 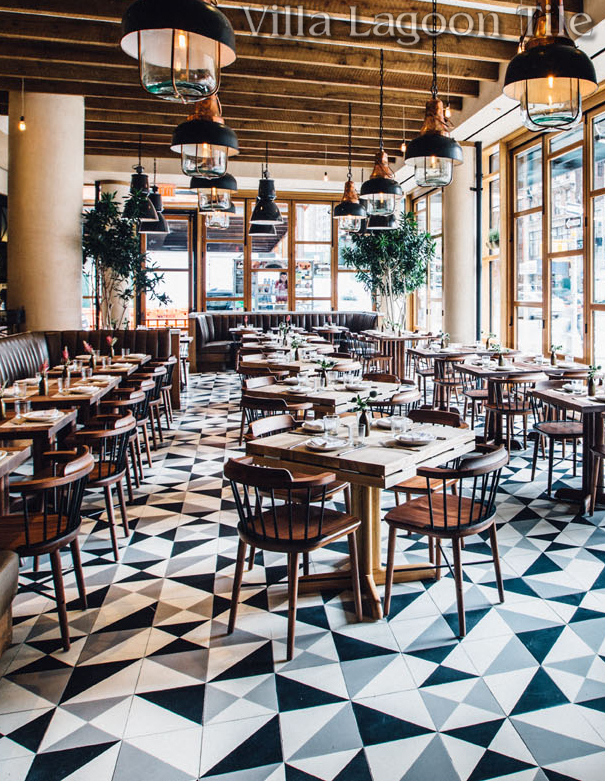 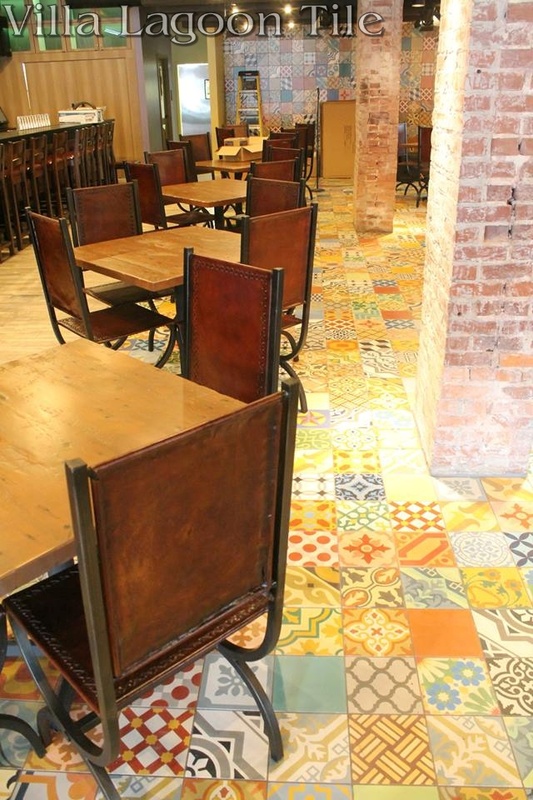 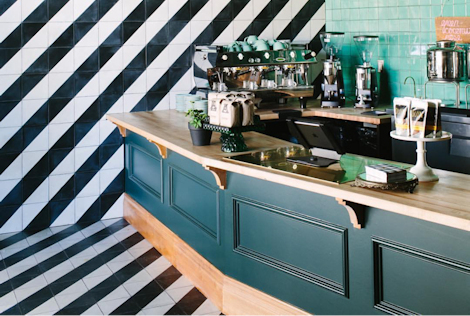 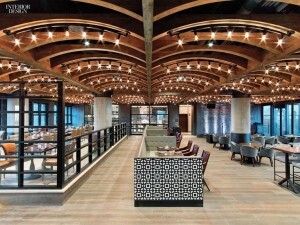 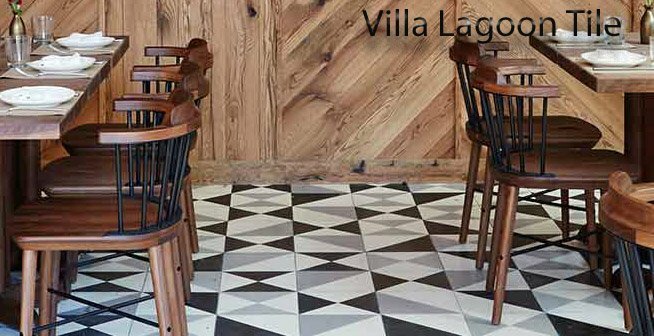 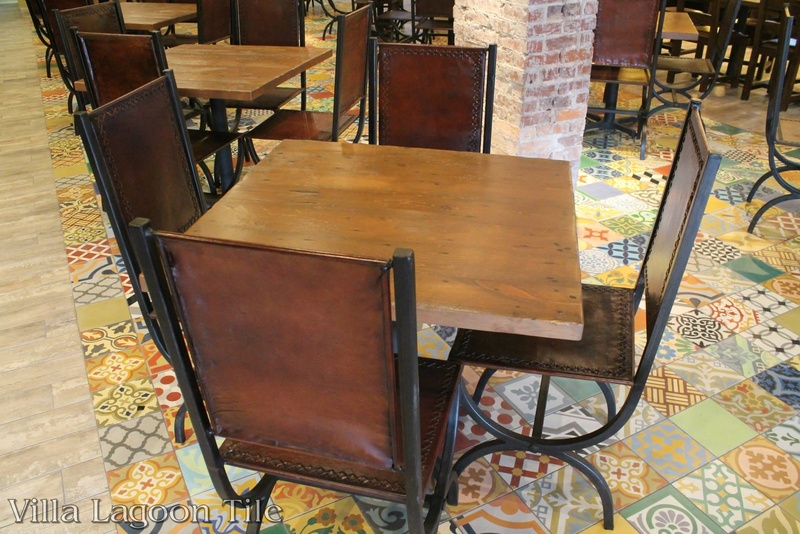 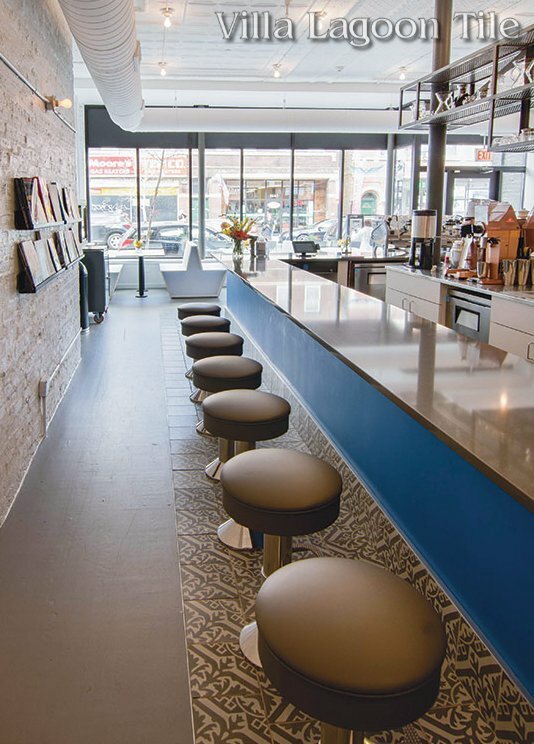 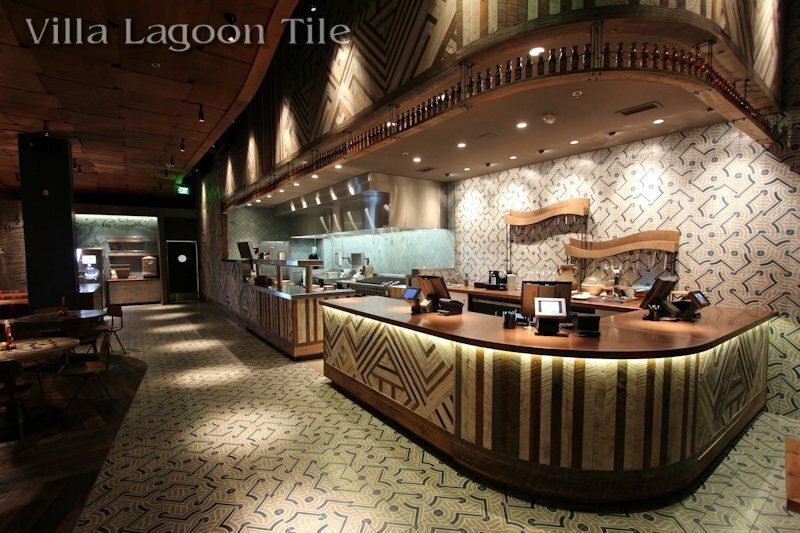 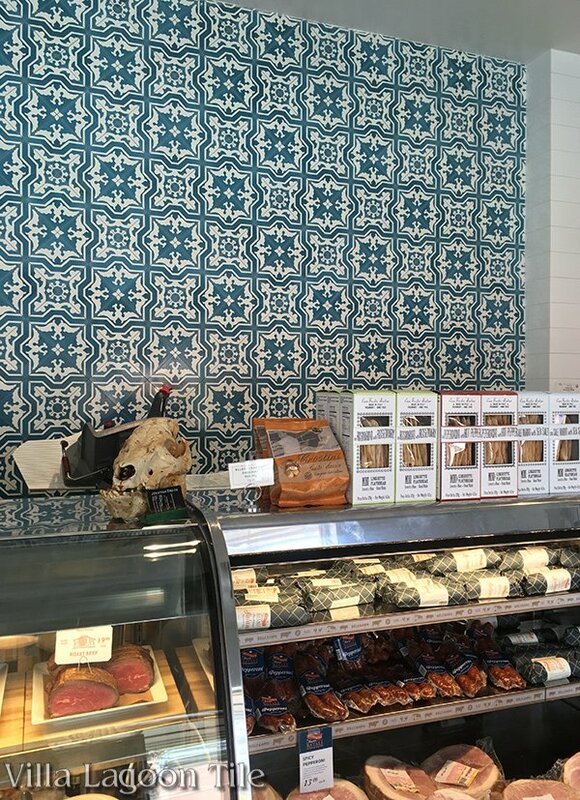 Not only is decorative cement tile a strong enough visual draw to use as an accent wall, it is durable enough for busy restaurant floors. 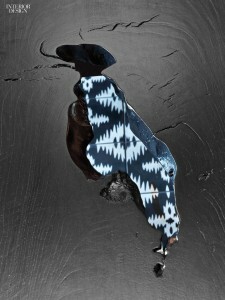 Modern sealants help preserve the the appearance over time, and provide better anti-slip characteristics than original wax techniques. 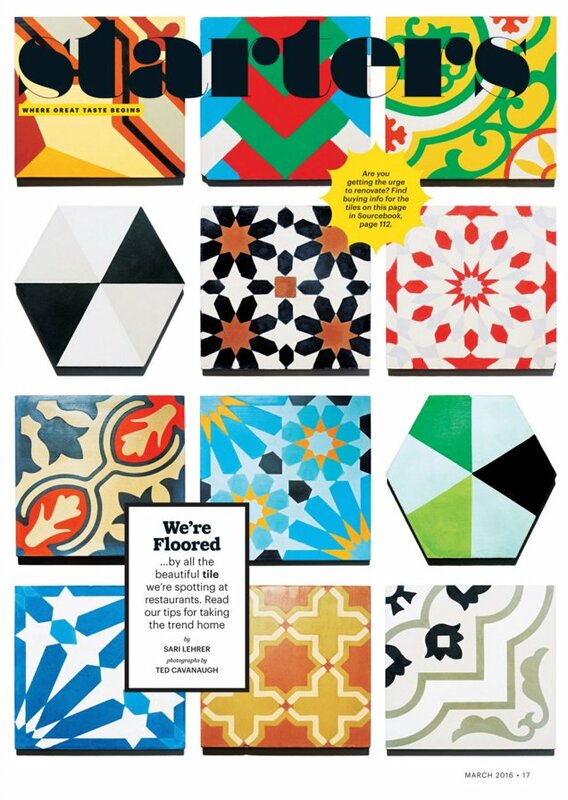 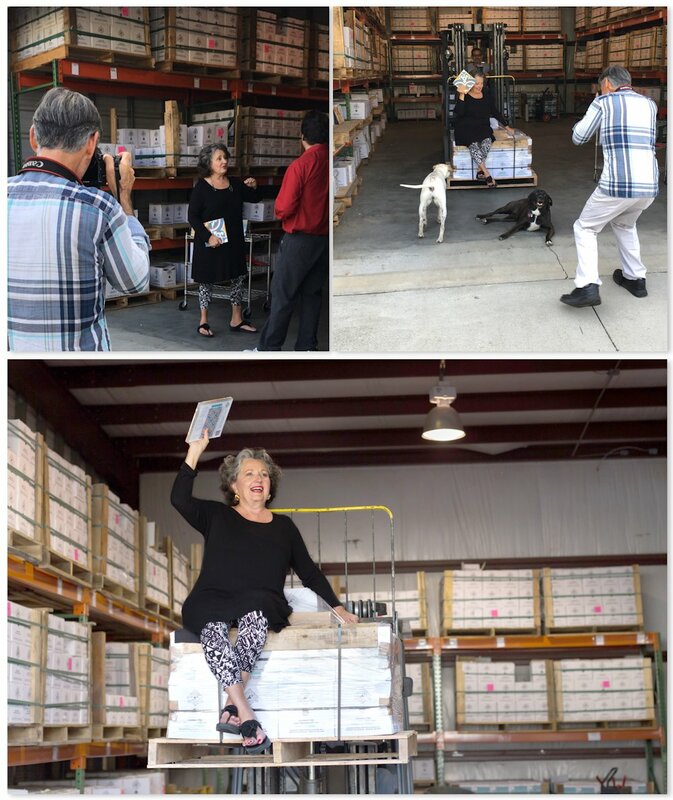 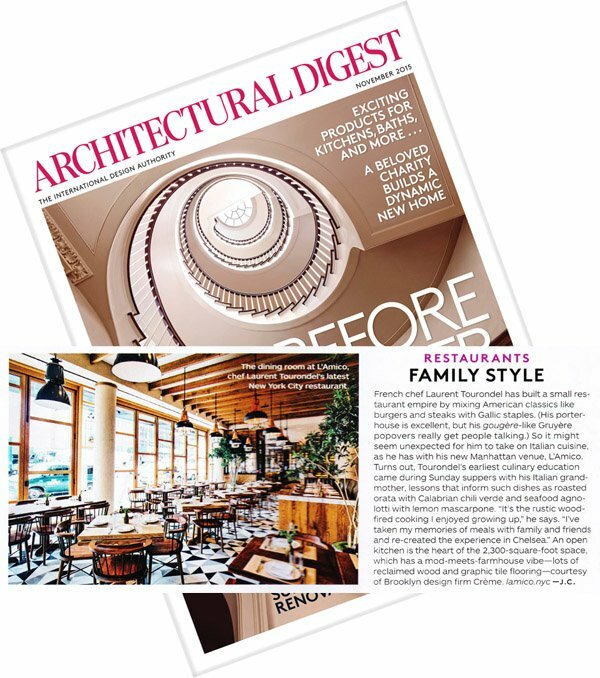 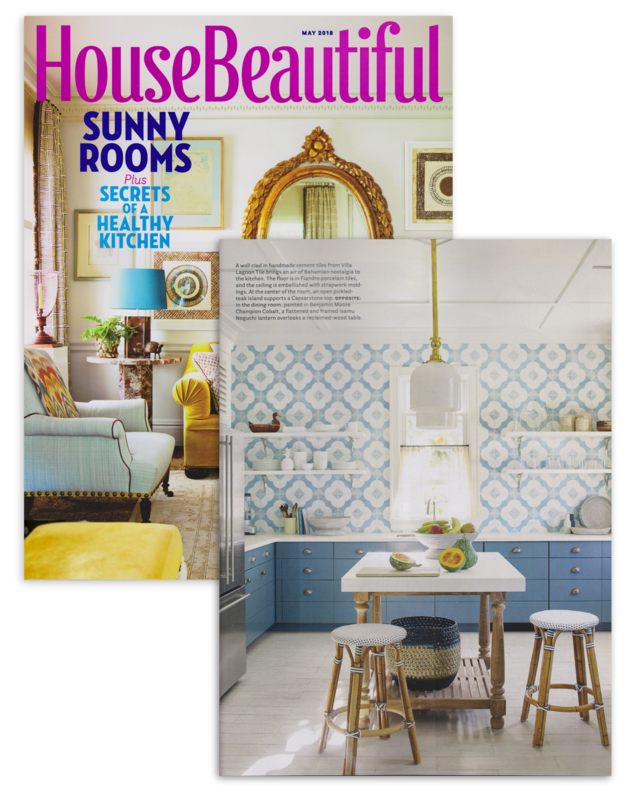 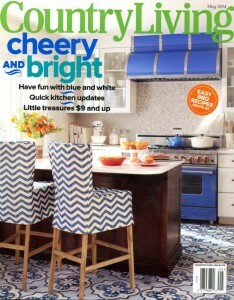 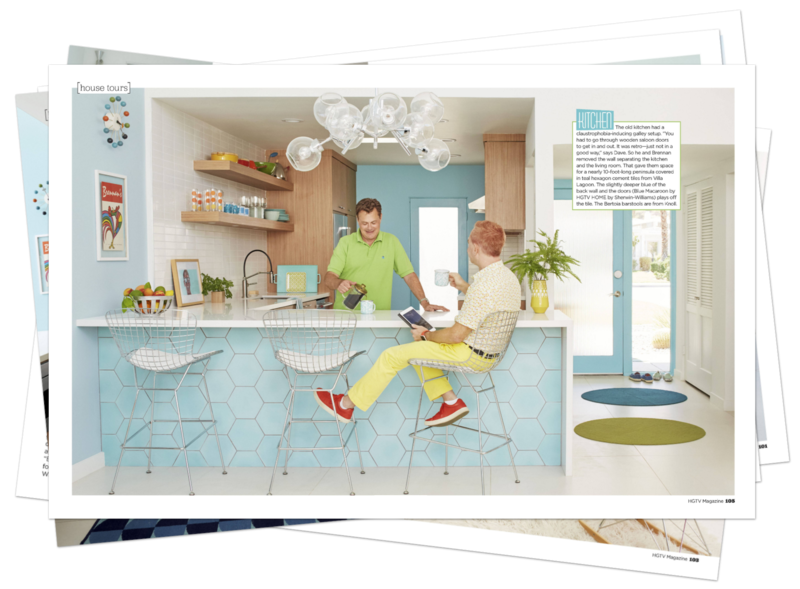 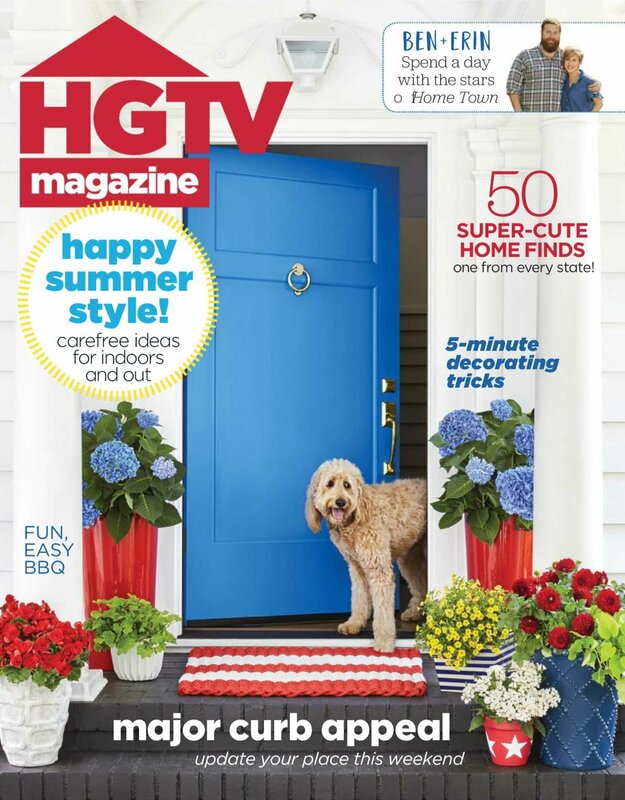 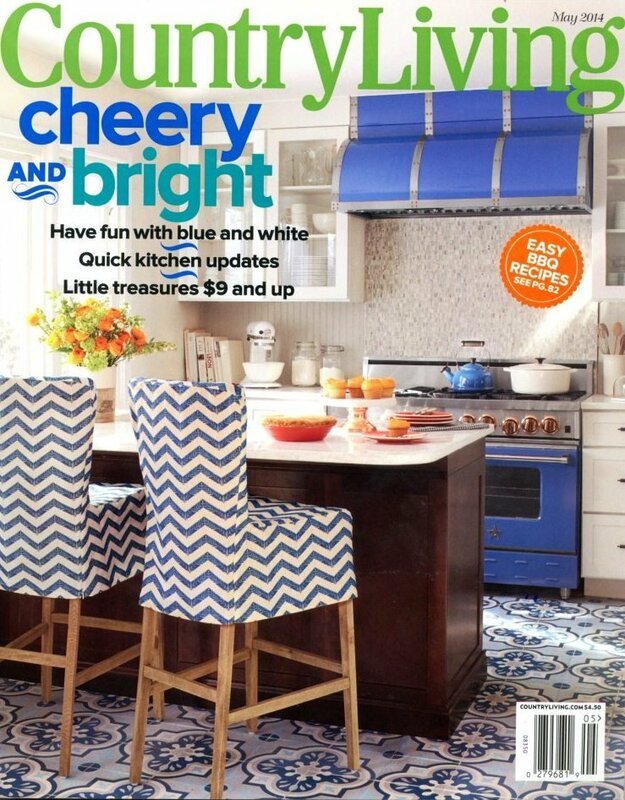 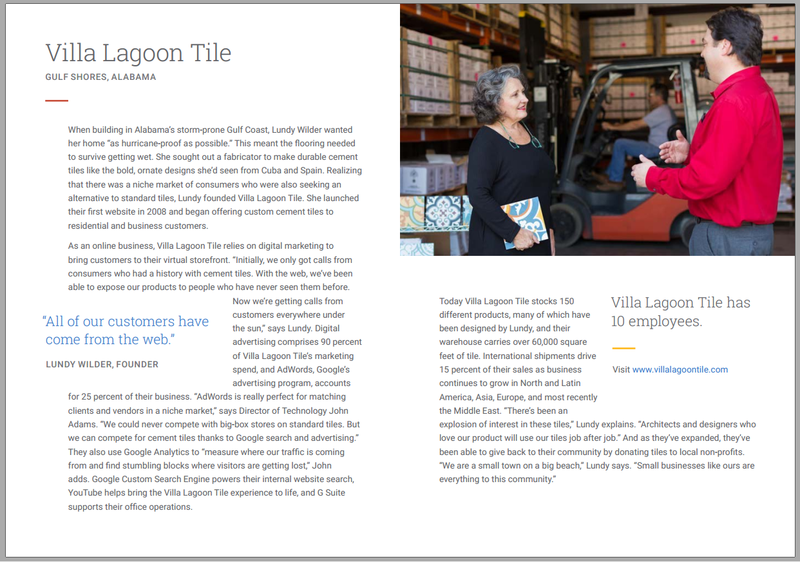 Our tile is featured in the April 2014 issue of The Void, a monthly magazine exploring the lifestyle of coastal North Florida. 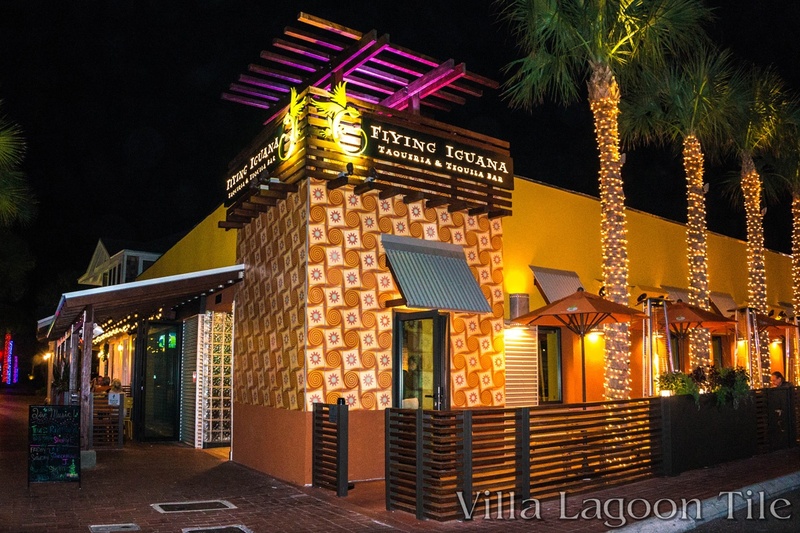 The Flying Iguana was the location for a photo-shoot with Miss Jacksonville USA 2015, Sarah Rogers, a hopeful for Miss Florida USA. 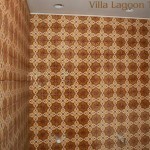 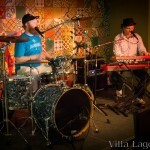 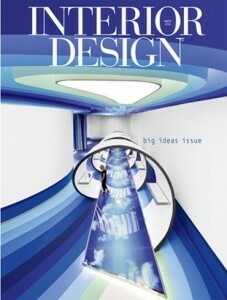 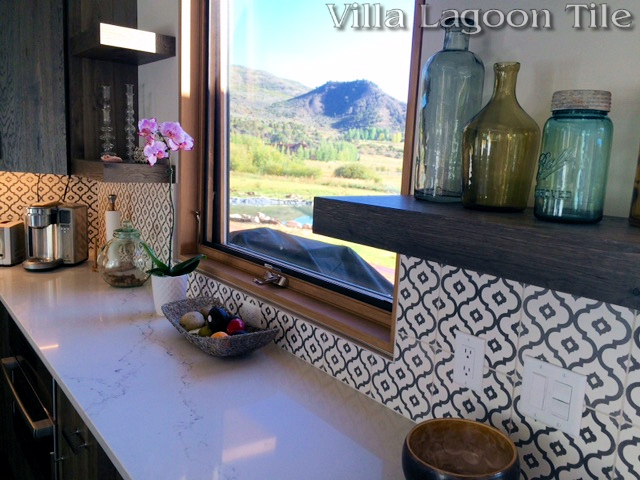 We noticed they couldn’t help but choose some of the vertical Villa Lagoon Tile installations as backdrops. 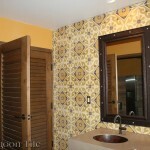 Our decorative cement tiles can also be seen in large installations in the restrooms. 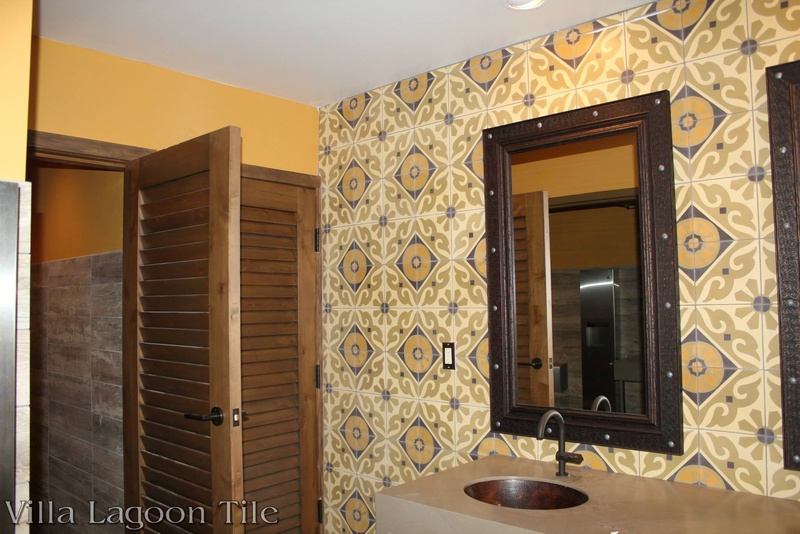 The designers chose our in-stock Torino cement tile for the ladies’ room, and in-stock Bocassio Gold cement tile for the men’s room. 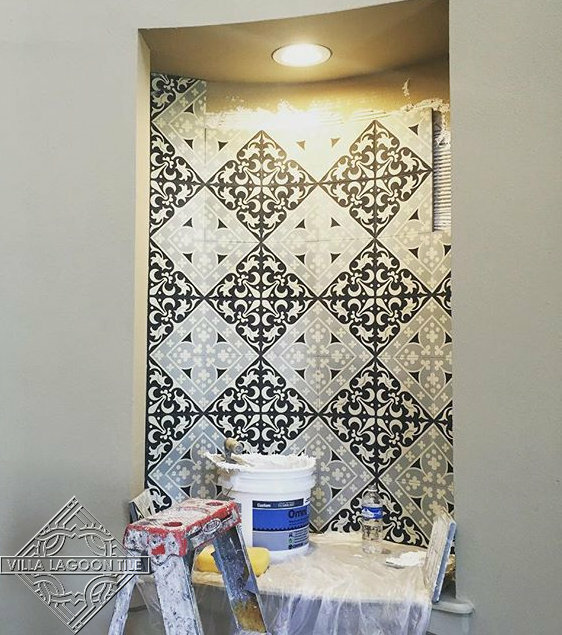 Note that the Bocassio Gold image is a construction photo, taken before the application of grout and final sealant. 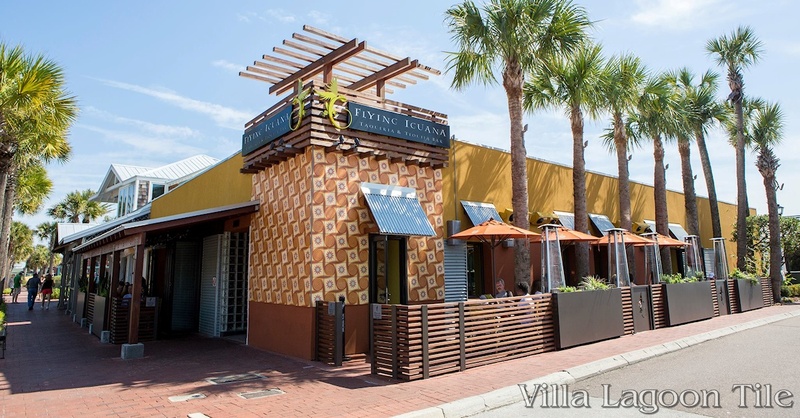 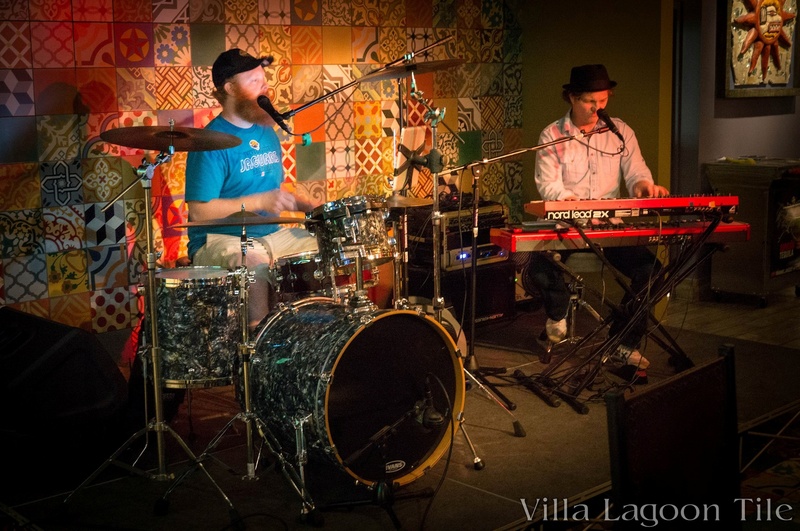 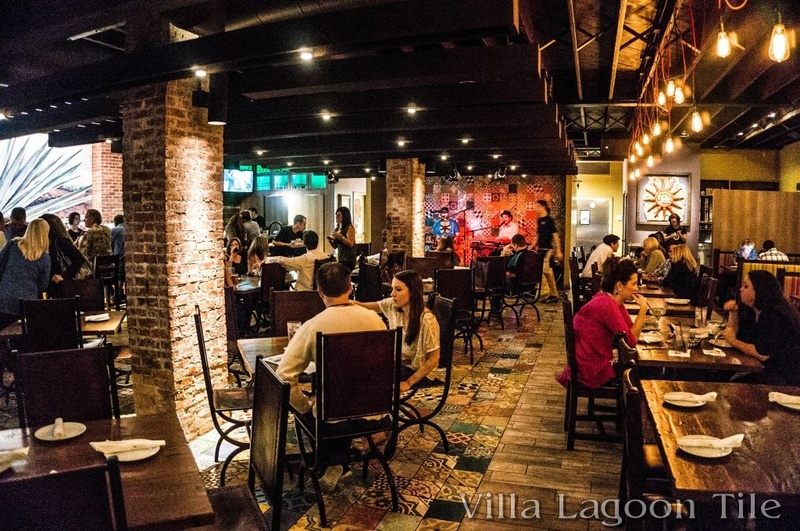 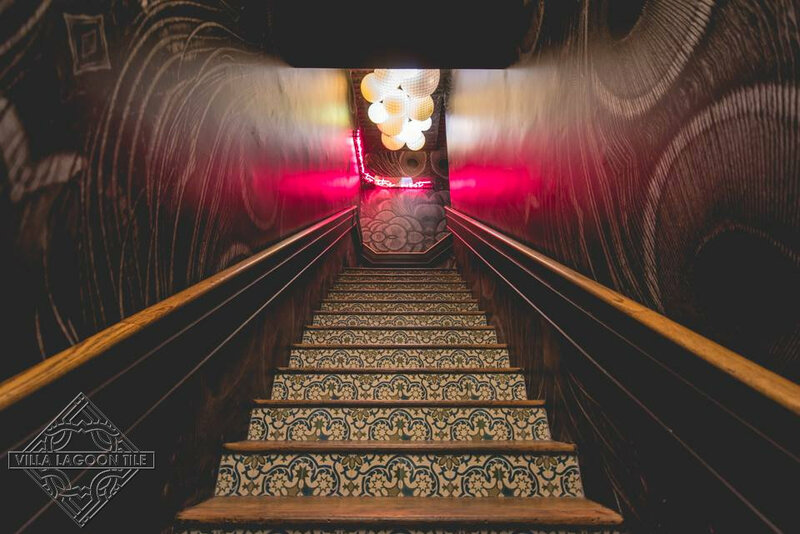 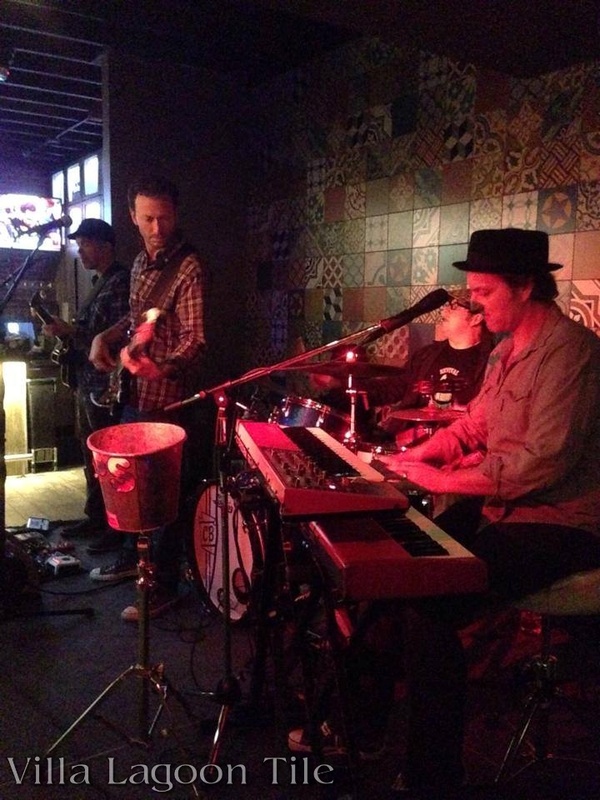 If you find yourself near Jacksonville, Florida, everyone is saying that the Flying Iguana is a worthwhile stop, both for the amazing food, and the inviting atmosphere.